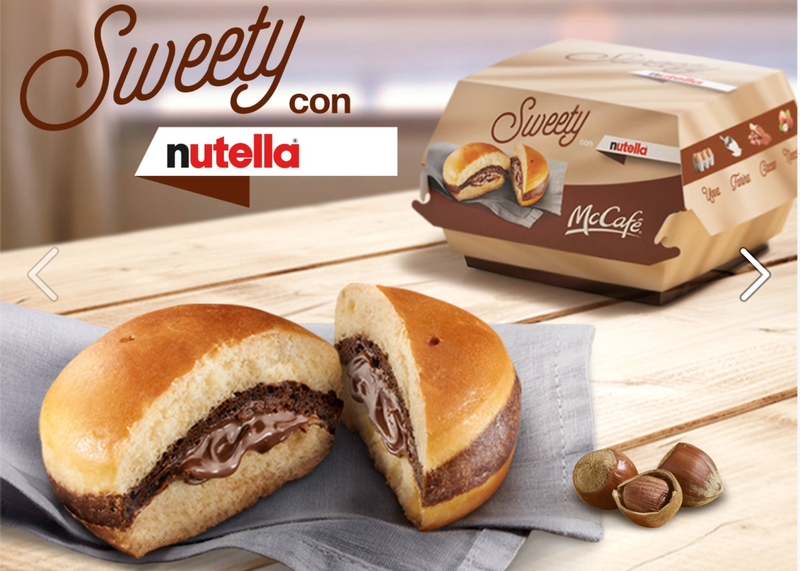 Some lighter fare to top off the day: McDonald’s Italy announced via Facebook on Thursday that the country’s golden arch outposts will now serve a Nutella burger called the “Sweety con Nutella”. Come to think of it, sounds awful heavy. It’s not really a savory snack, so much as a pastry that assertively reminds one of a hamburger while eating it. In other words, now you can have the mouthfeel of two deglazed buns fused together by a chocolate-hazelnut-flavored glue stick, but with the intellectual stimulation that accompanies munching on a hamburger. Is this the post where I finally reveal I don’t even like Nutella? Guess so. Enjoy your melted candy sandwiches, Italians.